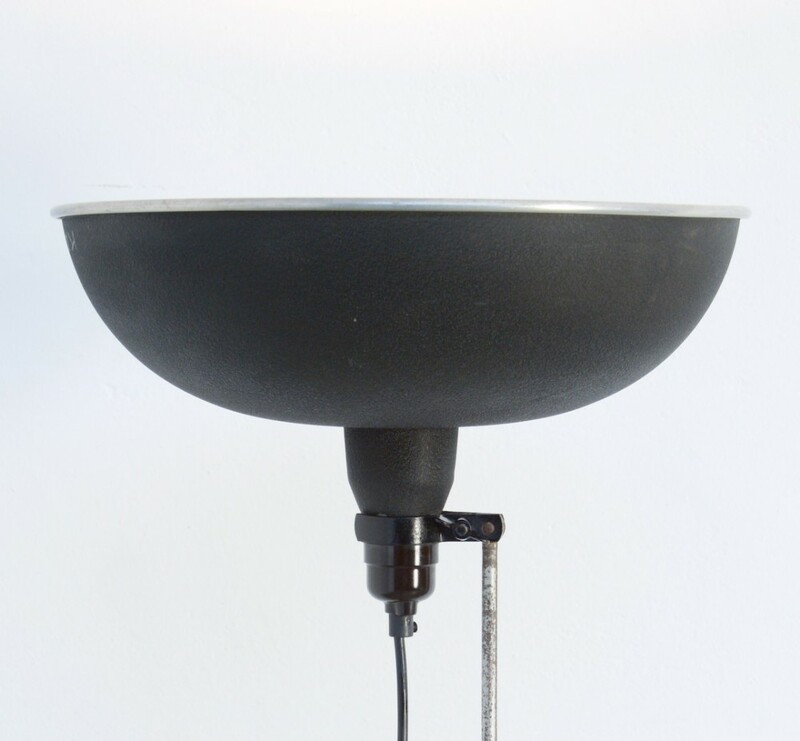 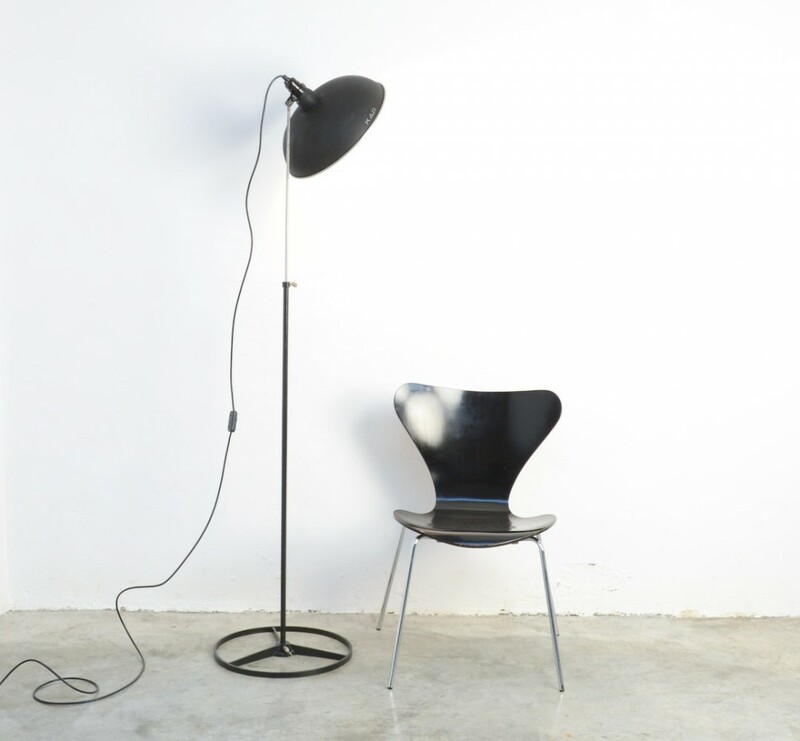 This industrial metal studio lamp was manufactured by KAP in the 1950s. 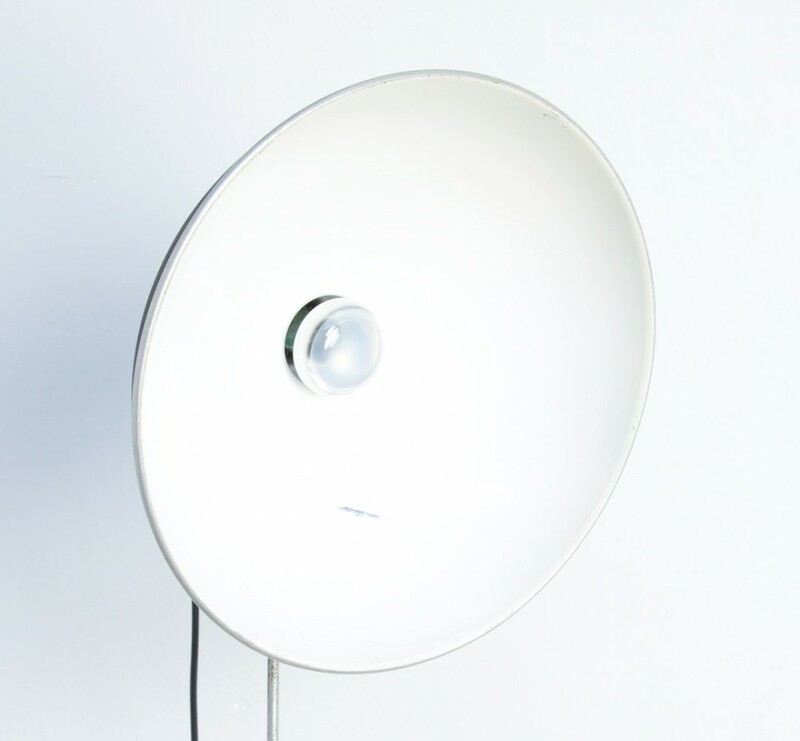 The stem is adjustable in height and the lamp shade can be orientated as well. 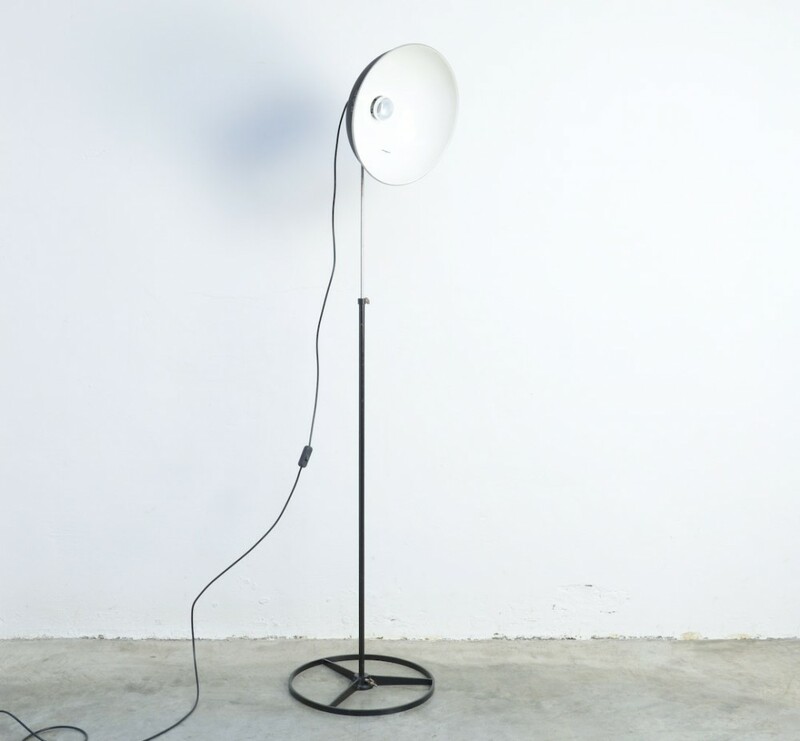 Take a look at the special round metal base. 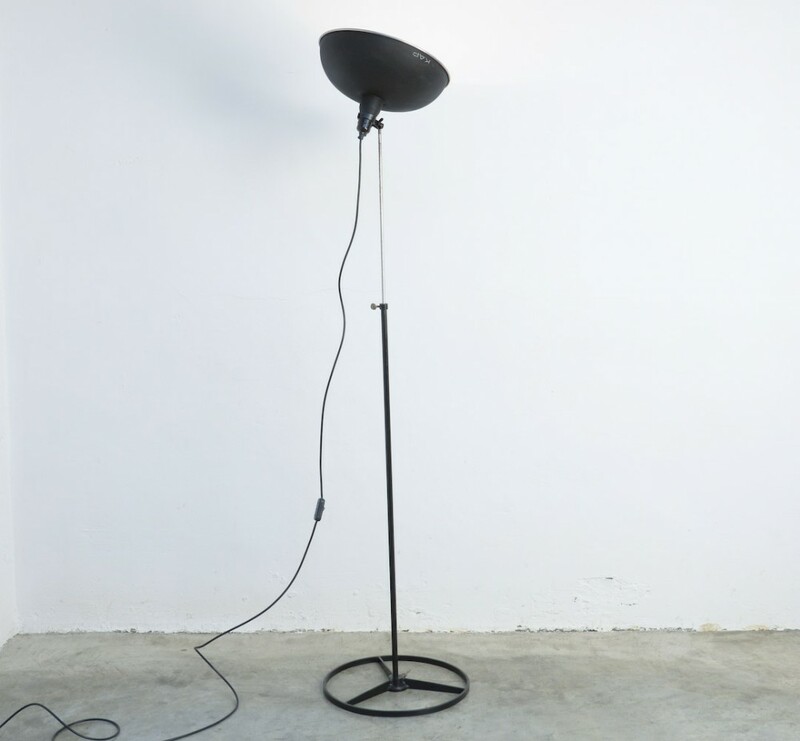 This great industrial lamp is in very good original condition. 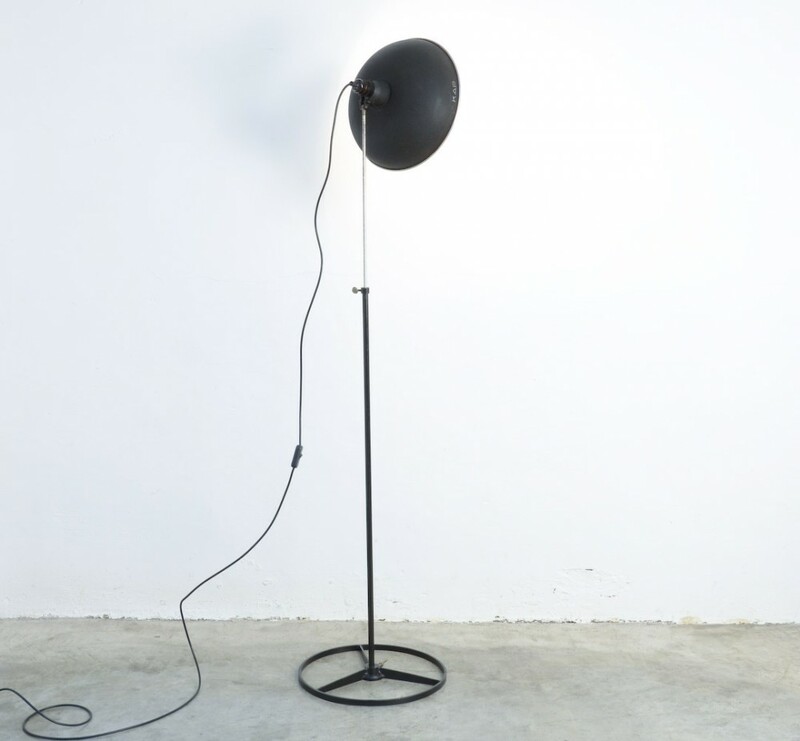 The lamp is cleaned and rewired and so ready for use.